IRON is the most common magnetic metal. In fact, iron is the most abundant metal and the most abundant element on Earth. That means there’s more iron than anything else on the entire planet. That’s counting everything on the surface and all of the materials that lie beneath the surface. The outer core (deep inside the Earth) is believed to be made of liquid iron, and the inner core is believed to be solid iron. When iron is mined from the earth, it doesn’t really look like the iron metal we use every day. 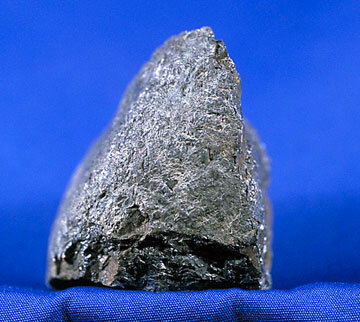 It comes in the form of an ore , which is basically a rock that contains metallic particles. It doesn’t look very much like the iron we might be imagining. Mostly, it’s dull and rough with barely any shine. 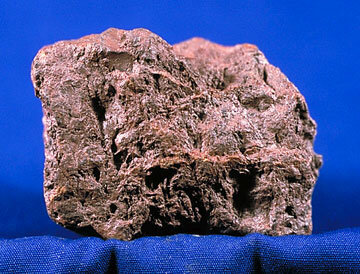 In ore form, iron will look like the rocks in the picture below (magnetite, shiny hematite, and dull hematite). · Iron can be oxidized, which means it’s affected by oxygen and water. When that happens, it turns into another substance which is brownish-orange. We call this new substance rust. · Iron can be mixed with other metals to form very strong alloys. Some of the alloys of iron are: carbon steel, stainless steel, cast iron, wrought iron. These alloys are used for car parts, airplane parts, cooking utensils, fences, etc. · Iron is a very strong metal, but at certain temperatures it can become very brittle. When it becomes brittle, the iron can be shattered just as easily as glass! · Iron can be found inside our bodies! Our blood is made up of a combination of certain elements such as nitrogen, oxygen, and iron! Our bodies need iron just like we need other nutrients such as vitamin-c or calcium. 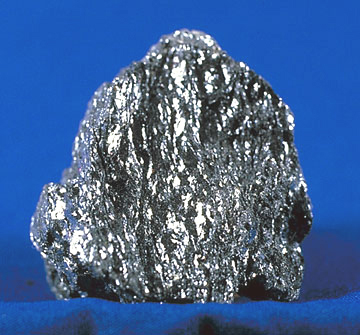 NICKEL is a silvery white metal that is also magnetic. Unlike iron, nickel is very resistant to oxidation. That means it doesn’t get rusty. For this reason, nickel is used as an outer plating for other metals. In fact, nickels (five-cent pieces) are made of an alloy (or mixture) of copper and nickel. Oddly enough, because of this mixture, the coins are not affected by magnets. COBALT is another silvery white metal with magnetic properties. Like nickel, cobalt is used for making alloys and for plating other metals. Many people know the word “cobalt” from the color “cobalt blue.” Cobalt blue is created by combining cobalt with other elements. This combination creates a dark blue tint which is used to color glass and pottery. Other Metals besides iron, nickel, and cobalt are important, too! These metals aren’t magnetic, but they can be very useful in other ways. · Copper is used to make pipes, coins, and electrical wires. · Aluminum is used to make soda cans, foil, and machines. · Gold is a precious metal used for jewelry. · Silver is used for jewelry and utensils. · Lead is used to make batteries and radiation shields. · Titanium is used to make airplane parts. · Mercury is a liquid metal used in thermometers. Alloysare mixtures of metals. Some alloys are metals mixed with other metals. Other alloys are metals mixed with non-metals. Some well-known alloys are brass, bronze, steel, pewter, solder, and white gold. Below is a LINK to the TIME for Kids Website. It includes tons of information about metals, magnetism, electricity, and energy!